Available: 1 bedroom plus den or storage , 1 bath Apt. in a very convenient location downtown ! It is close to the Commonwealth Stadium, LRT, shopping, and all amenties. It comes with fridge, stove and 1 energized parking stall. Serwa is an adult only!! Pet free building. Please call 587-525-6355 To book a showing. 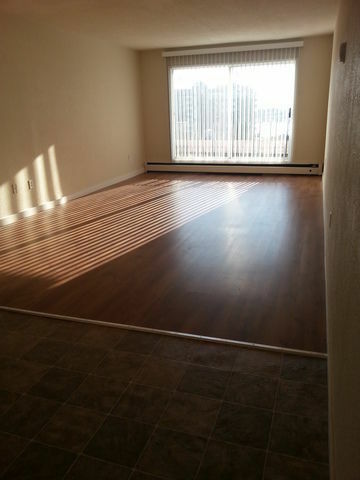 Available: 1 bedroom plus den or storage , 1 bath Apt. in a very convenient location downtown ! It is close to the Commonwealth Stadium, LRT, shopping, and all amenties.It comes with fridge, stove and 1 energized parking stall.Serwa is an adult only!! Pet free building.Please call 587-525-6355.To book a showing. No calls after 9 P.M. This property is professionally managed by Magnum York Property Management Ltd. Available: 1 bedroom plus den or storage , 1 bath Apt. in a very convenient location downtown ! It is close to the Commonwealth Stadium, LRT, shopping, and all amenties.It comes with fridge, stove and 1 energized parking stall.Serwa is an adult only!! Pet free building.Please call 587-525-6355 To book a showing.